Santa Dental Care info about the game-Games2Rule. 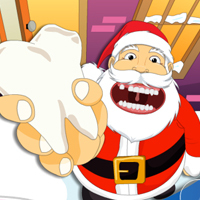 You are the dentist and this Christmas Santa is at your clinic for treatment because he is kissing so many children but now he is in trouble, some problem comes with Santa�s teeth. So help the Santa and treat his teeth. Good Luck and Have Fun!